Chibaya, who is the MP for Mkoba, was rearrested on Tuesday afternoon soon after his release from Whawha remand prison after he was granted $500 bail on allegations of inciting violence. He appeared before Provincial Magistrate Ms Charity Maphosa facing charges of subverting a Constitutional Government. Ms Maphosa remanded Chibaya in custody to tomorrow at the request of the prosecution led by Ms Gracious Rongai. Ms Rongai applied for further detention to allow police to gather more documentation proving the alleged offence against him. 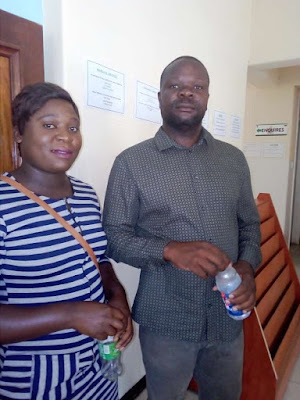 The MP’s lawyer Mr Reginald Chidawanyika was opposed to the application for further detention saying it was unconstitutional to have his client arrested based on a news article which has not been verified. “We are opposing this application for further detention because we requested for the news article in question from the prosecution and they promised to give us today (yesterday) in court — a promise they have failed to keep and now they want to detain my client further and the publication in question has not been verified,” he said. It is the State case that during the period from December 16 to January 2 and at the Midlands Provincial offices of MDC Alliance in Gweru, the accused communicated with Learnmore Magorimbo, the national chairperson for Zimbabwe National Youth Alliance (Ziya), a pressure group mobilising for a nationwide demonstration. The court heard that the alleged communication was done between certain cellphone numbers revealed in court. On January 2, accused — the court heard- also communicated with the entire MDC Alliance supporters by causing the publishing of a news article in a local daily newspaper where he was subverting a Constitutional Government. As a result of the communications, the court heard that massive violent demonstrations occurred in Mkoba, Mtapa and Ascot high density suburbs in Gweru and the accused was observed amongst a riotous group.